High School: Brian is a 1990 graduate of Maumee High School. Brian was selected as team co-captain for football as a senior. He received many league honors during his football career. As a junior, Brian was selected to First Team football All-Northern Lakes League as a linebacker. He followed this accomplishment as a senior earning All-NLL as both a linebacker and running back. Brian was also selected as the Northern Lakes League Defensive Player of the Year. Brian also received district mention as First Team All-District as a running back and state mention as honorable mention All-Ohio. Additionally, Brian was named the Catholic Youth Organization (CYO) Athlete of the Year as well as team Most Valuable Player as a senior. He had over 300 career tackles and rushed for over 1,200 yards as a senior. Brian was selected team captain for wrestling as both a junior and senior. 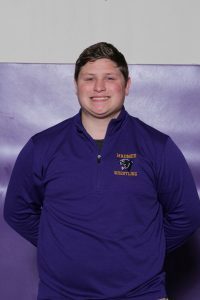 He concluded his wrestling career at Maumee as two-time Northern Lakes League champion and as a three-time district qualifier. Brian also received the Coach’s Award as a senior. Additionally, Brian was listed as one of Ohio’s “Top Twenty” wrestlers as a senior. Brian’s abilities were also recognized as a student and classmate at Maumee High School. He was elected Class Vice-President as a junior and Class President as a senior. Brian received All-NLL Academic recognition for both football and wrestling. He was also a recipient of the Thomas G. Krietner Award and a Boosters Scholarship Award. College: Brian has attended the University of Findlay, University of Toledo, and Bowling Green State University. He has a Bachelor of Science in Education with a focus in Comprehensive Social Studies. Brian also has a Master’s Degree in Classroom Technology. Experience: Brian has coached Football, Wrestling and Track on and off for the last 25 years. Brian has coached football for 17 years and has coached on 5 playoff teams and two NLL Championship Teams. 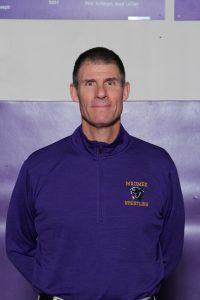 Brian has coached wrestling for 22 years, including 30 NLL Individual Champions, 4 Team Championships, 20 State Qualifiers, 11 State Placers and 1 State Champion. Brian has coached track for 18 years, including have had several league placers, district and regional placers. At the state level he has had 7 qualifiers and 5 state placers. Family: Brian resides in Maumee with his daughters Morgan, a 2017 MHS graduate and attends University of Findlay, and Chloe, a 2018 MHS graduate and attends Bowling Green State University. High School: Robbie is a 2017 graduate of Anthony Wayne High School. Robbie has wrestled for 11 years and played 4 years of football at Anthony Wayne. While at Anthony Wayne the football team won their 1st ever Regional Championship. College: Robbie currently attends the University of Toledo where he is majoring in Mechanical Engineering. 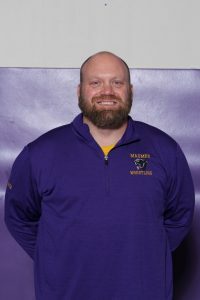 Experience: Robbie was a volunteer wrestling coach at Maumee High School last year. This is his 2nd year coaching at Maumee and 2nd year of overall coaching.